The last couple of days have been draining all my energy ruthlessly that today I woke up feeling so tired yet so great. Putting aside other work, sacrificing sleeping hours, and spending a whole day long in campus are really worth the prize of meeting new people from other countries and making such great friends! Makes me miss blogging, really, how is everyone doing? Stay in touch: tweet me, e-mail me, text me, anything! I'd love to catch up. Pretty skirt and I love that floral bag! Gorgeous!! Love the skirth and the bag. Perfect combination. love your skirt and it looks great with the dress as a top!! In love with your outfit ! Oh Wynne! You look stunning! I love this skirt so much! I do hope you can get some rest soon! I love your skirt<3 Very original midi&maxi in one thing. I saw a similar one in Zara and I think I should have bought it. gorgeous photos, I love that skirt! Aw this whole outfit is so beautiful! 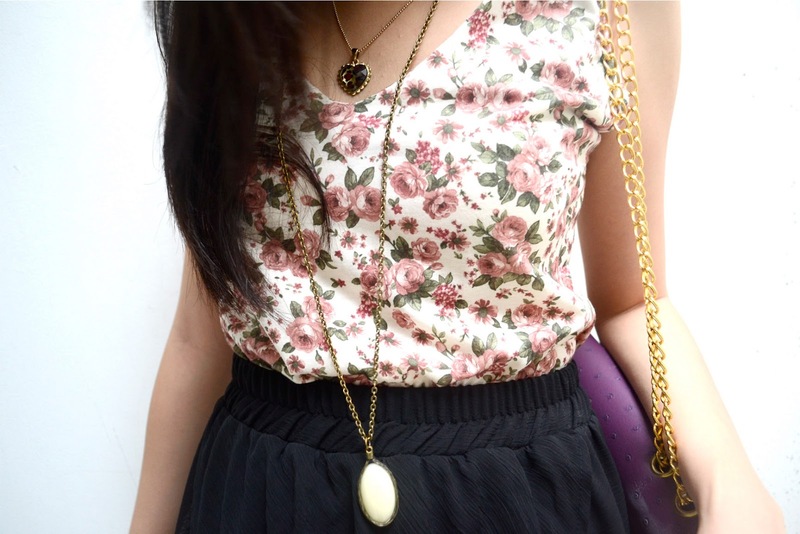 I love the whole thing, from the florals, over the pretty bag and necklace to the breezy skirt, so lovely and chic! Love the skirt, very dramatic! You look gorgeous! That asimetric skirt is beautiful! I love your outfit! The top with the skirt is just simply gorgeous. I love your skirt. Asymmetry skirts are so cute. You look lovely also. I love this look, especially your asimetric skirt and your floral top. 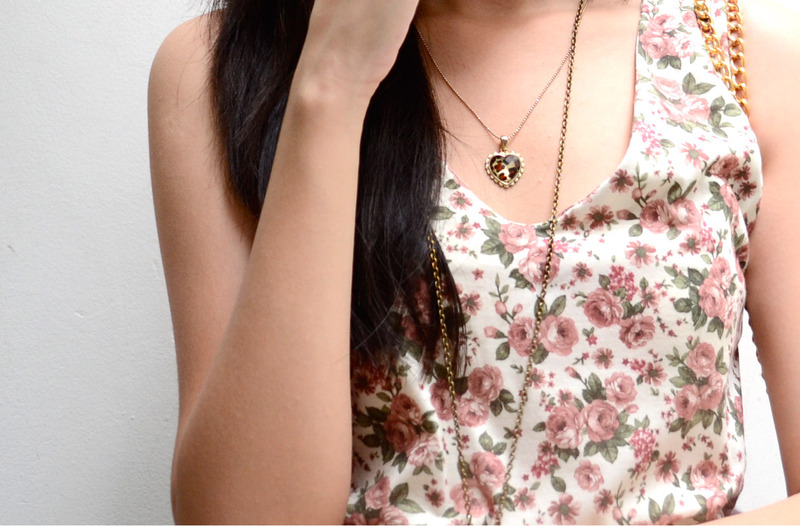 I love those floral top and skirt!! Really i love your skirt. That looks so adorable, right? Amazing top. You're beautiful :). really very happy i found your blog. very pretty top. Love the high-low skirt. You look great! love your skirt! Your legs are sooooo longggg (hundred times I've said that), great post! love your skirt so much! I agree with you. Sometimes going out to events and reaching out to people can be intimidating and exhausting, but very rewarding in the end. Love your skirt here! Your skirt is gorgeous! Very elegant! so lovely wynne :) i love your assymetrical skirt :D superb ! Great outfit girl! Such a great style! !and the skirt is gorgeous!! Love your outfit, the skirt is gorgeous! You've got an amazing blog, I'm gonne follow you now! pretty as outfit! Uni work can be so crazy and demanding sometimes. I love the skirt. And the floral prints look retro?